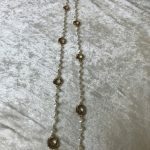 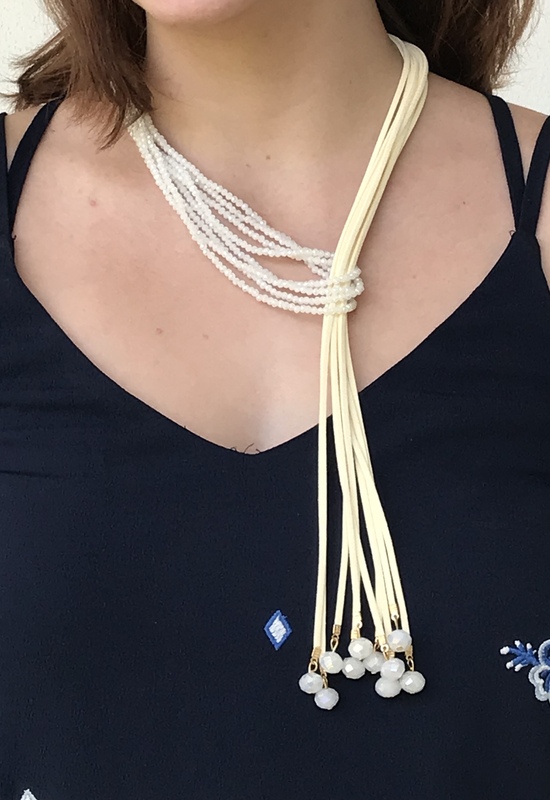 Gorgeous, boho chic pull through necklace with beautiful white beads and ivory colored suede. 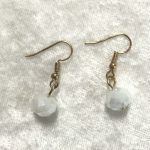 Each suede piece is finished with small white beads and gold closures. 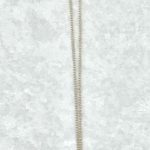 Contains lobster claw clasp in the back to easily adjust this piece!